We hope you’ve had a spectacular Thanksgiving holiday and maybe even a little fun with Black Friday shopping! We’ve been putting finishing touches on our Christmas decor and had so much fun seeing all of the amazing creations and inspiration that you all shared this past week. Before we dive in, we want to take a moment to sincerely thank you so much for coming by ~ your visit means so much to us. Here’s what Kristy, Julie, Kelly, Susan & I have been up to this week. 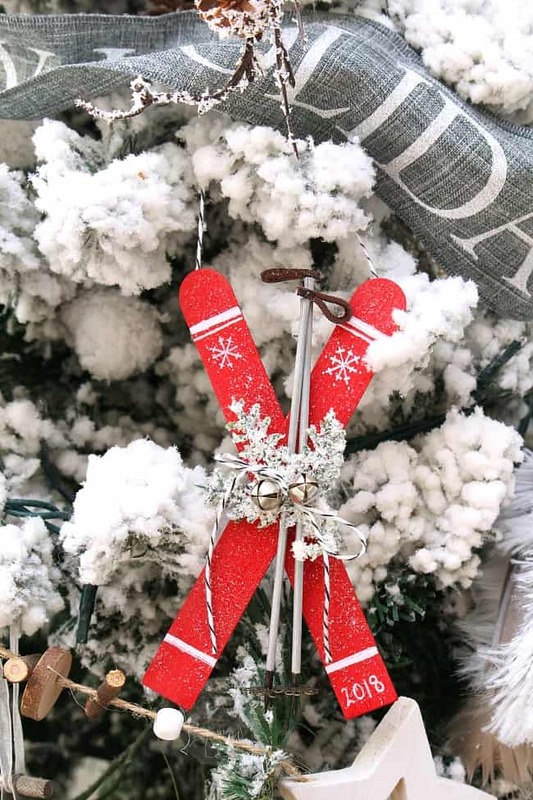 In case you want to do a little holiday crafting this weekend, check out these easy popsicle stick skis Christmas ornaments from Clean & Scentsible. So simple, yet so adorable! 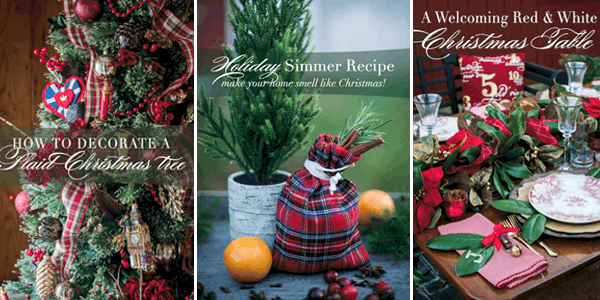 Don’t miss these minimal Christmas tree art printables from Northern Feeling. 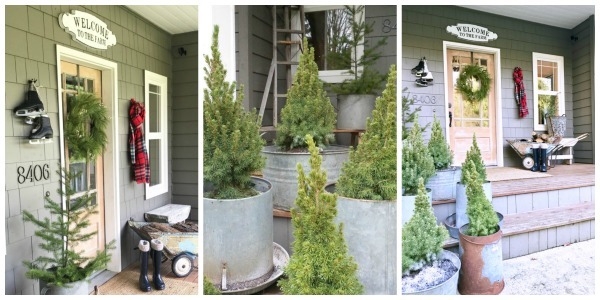 They are a terrific and budget-friendly way to add farmhouse charm to your decor! 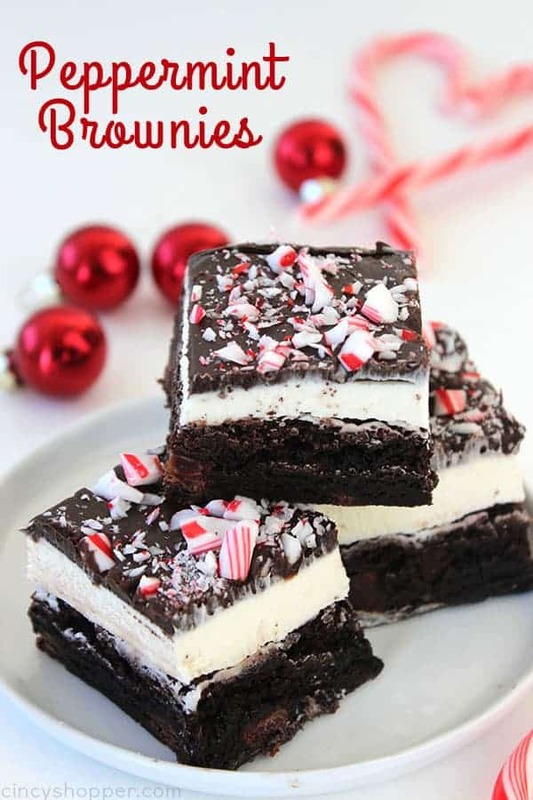 We couldn’t resist these sweet Peppermint Brownies from Cincy Shopper. We’re smitten with this dessert – not only would it be delish for snacking while wrapping or cuddling up watching a favorite holiday movie, but wouldn’t these make great homemade gifts too?! We hope you enjoy the party. Please be sure to link up and show us what you’ve been up to and enjoy visiting the featured blogs. Ready to show us what you have been up to? Well, then ~ Link up!! A link back is to one of our blogs is appreciated. Link up your own work, no ads, or giveaways. Thank you so much for hosting. I brought my Brownie Caramel Chocolate Squares. Have a great week!